There are a lot of things that you need to do before you move house – some are absolute musts but others are just handy things that can make life and your move a lot easier. 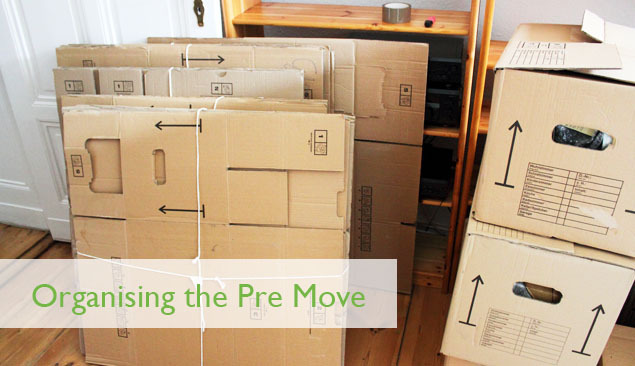 In this blog post, we’re going to take a look at five of the most important things you can do in advance to make your move run as smoothly as possible. We make no apology for saying this over and over again – have a clear out! What is the point of paying someone to move things that you’ve not used or looked at for years and in all likelihood might not even get unpacked at the new place. Whether you sell them, give them to charity or simply take them to your nearest recycling centre, take some time to go through your belongings and get rid of things you never use. It’s a great feeling once you get it done! By admin, we mean things like getting your name and address details changed with people like your bank, insurance companies, credit card provider, doctors, dentists and schools or colleges. It’s also a good idea to get a mail redirection service put on your ‘old’ address – this means that anything sent to your old address will automatically be sent on to your new address. It’s a good idea to get in touch with your utility companies (water, energy, broadband, tv etc) as soon as you have a moving day. They will need to know when you are moving out so they can issue final bills for your ‘old’ address and arrange appointments for any installation work that might be required at your new property. Of course, a move is also an excellent time to check whether you can switch to a different supplier for a better deal, if you wish. If you are going to use a removal company – and we highly recommend that you do – then get your booking in as early as you can to ensure you get the people you need on the day you need them. If you are moving on the more popular dates (the end of the week is always busier) then the sooner you can get your team booked, the better. If you are downsizing, or will have a period of time between properties, consider hiring some storage space to securely store your belongings. There are a variety of storage options available and they can offer breathing space if you want some time to consider what items will actually make it into your new home.